IIT Delhi | GATE 2020 | Official Website – Graduate Aptitude Test in Engineering (GATE) is an all India examination. This exam is primarily conduct to examine the understanding level of the candidate in various undergraduate subjects in Engineering / Technology / Architecture and post-graduate level subjects in Science. Officially upcoming Graduate Aptitude Test in Engineering (GATE) 2020 will be conducted by IIT Delhi. GATE 2012 was conducted by IIT Delhi last time. 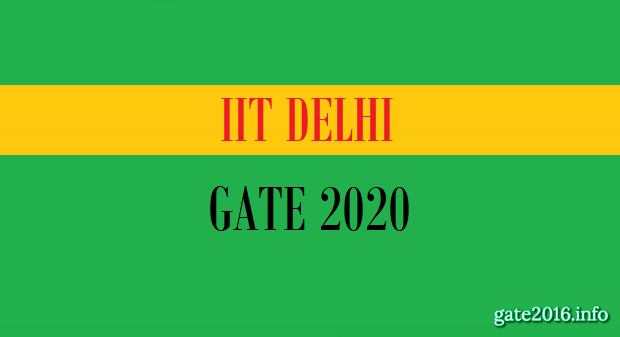 GATE 2020 Official Website : IIT Delhi – Click Here! The Indian Institute of Science (IISc) and seven Indian Institutes of Technology (IITs at Bombay, Delhi, Guwahati, Kanpur, Kharagpur, Madras and Roorkee) collectively supervise the conduct of GATE. The operation associated to GATE in each of the eight zones are managed by a zonal GATE Office on the IITs or IISc. 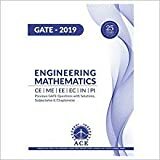 GATE is run and performed collectively by the Indian Institute of Science (IISc) and seven Indian Institutes of Technology (IITs) on favor of the National Coordination Board (NCB)-GATE, Department of Higher Education, Ministry of Human Resource Development (MHRD), Government of India. GATE 2020 notification will be released by GATE office in the month of July, 2019. 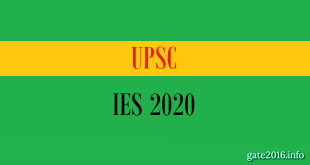 The notification will include all necessary details like exam dates, application date, form filling procedure, exam pattern, syllabus, eligibility and other important details related to GATE 2020 examination. Candidates can use GOAPS (GATE Online Application Processing System) for GATE 2020 registration. Here we are providing some basic information about GATE 2020 registration please check below. (1) Candidates have to apply for GATE 2020 examination using online mode only. (2) GATE 2020 registration will be started from the 1st week of September, 2019. (3) GATE 2020 registration will be end till the 1st week of October, 2019. (4) Candidates have to register as a “New User” for GATE 2020 examination registration. (5) After successful registration candidates be able to access to GOAPS using their GOAPS Enrollment ID and GOAPS Password. (6) While filling GATE 2020 application form candidates need to upload scanned photograph, signature, thumb impression, degree certificate or category certificate. # Note : Candidates can pay the application fee via Net banking, debit card or e-challan. (1) Bachelor’s degree holders in Engineering/ Technology/ Architecture (4 years after 10+2) and those who are pursuing the final year of such program. (2) Bachelor’s degree holders in Engineering/ Technology/ Architecture (Post-B.Sc./Post-Diploma) and those who are in the final year of such programs. (3) Master’s degree holders in any branch of Science/ Mathematics/ Statistics/ Computer Applications or equivalent and those who are in the final year of such programs. (4) Candidates in the second or higher year of the Four-year Integrated Master’s degree programme (Post-B.Sc.) in Engineering/Technology. (5) Candidates in the fourth or higher year of Five-year Integrated Master’s degree programme or Dual Degree programme in Engineering/Technology. (6) Candidates with qualifications obtained through examinations conducted by professional societies recognized by UPSC/AICTE (e.g. AMIE by Institute of Engineers (India); AMICE by Institute of Civil Engineers (India)) as equivalent to B.E. /B. Tech. Those who have completed section A or equivalent of such professional courses are also eligible. GATE examination conducted in 23 subjects (also referred to as “papers”) by an ONLINE Computer Based Test (CBT). A candidate can choose any one of the following listed subjects. XE and XL papers collectively represent the several papers of engineering and science. you have to choose any one of these below listed subjects as one of your GATE paper. GATE exam held for 23 papers. Candidates can choose any GATE paper as per their graduation subject. So, Syllabus for each stream is different. 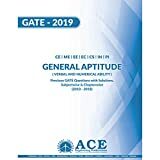 GATE 2020 aspirants can download the official PDF of GATE 2020 syllabus for AE, AG, AR, BT, CE, CH, CS, CY, EC, EE, EY, XE, GG, IN, MA, ME, MN, MT, PE, PH, PI, TF and XL from the link given below. # Note : Numeric Answer Type Questions will carry 25 marks to 40 marks out of 100 marks. Nowadays in GATE exam a virtual calculator will be provided during online examination by GATE office. This virtual calculator is an online calculator which contains all the operations and functions for carrying out calculations and will be integrated with your online GATE exam panel. No physical calculator will be allowed in the examination hall during GATE 2020 examination. GATE 2020 candidates have to use the virtual calculator for solving Numerical Answer Type Questions. This GATE score is used for admissions to post-graduate programs (e.g., M.E., M.Tech, direct Ph.D.) in Indian institutes like IISC, IITs, NITs and various other colleges of higher education with financial assistance provided by MHRD and other Government agencies. This GATE score may be utilized by Public and Private Sector units for employment screening purposes. Nowadays several public sector undertaking are using GATE scores for screening for providing a salaried employment. Such few organizations are: Indian Oil Corporation Limited (IOCL), National Thermal Power Corporation (NTPC), Power Grid Corporation of India Limited (PGCIL) etc.